With its elegant mix of traditional Thai life and modern facilites that have been designed to blend in with the existing landscape, this has created an enchanting atmosphere for your event. The ease of communication in Thailand is also apparent for organizers around the world. Thailand is one destination that will fire up the imagination of your delegates. Some curious, some incredulous, some a little nervous, some still ambivalent but for once, you are going to bring excitement that will turn men and women into boys and girls. Thailand offers a vast range of hotels, convention centers and conference facilities, from small to big for a perfect selling. 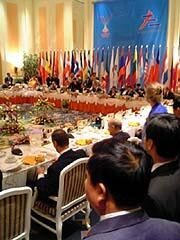 Thailand offers a wide choice of conference centres. Besides the conference facilities at the five star hotels, there are alternatives. 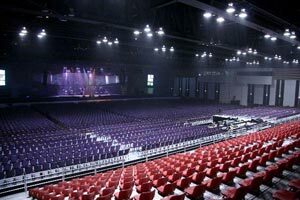 Thailand has many International Convention Center has state-of-the-art facilities for conferences and conventions with sophisticated audio, video, lighting, communications, catering, ventilation and parking facilities. Thailand boasts a unique mix of people in the thousands of possible sites for corporate events featuringstaffand management from all over the world and of course the super-efficient Thai staff, many of whom are also fluent in a second or even third language. There are many aspects of the corporate event industry that come together to provide creative solutions for any scenario, all organizers have to do is ask. under the SILK ROAD GROUP Adventure Silk Road Inc & Abode Asia Tours & Travels Inc. has handled several Incentive Groups both from International and Domestic markets offering unique programs especially designed to suit the budget and liking of the participants in a perfect manner. Thailand is a dream come true for an organisation that is is looking for a new and exciting desitation to offer as a special location for Incentive trips, Meetings, Special events, Photo shoots, Location scouting, Seminars, Conventions, Group arrangements, TV-spot-shoots and Product launches. With its unsurpassed scenery and unique blend of culture Thailand offers something very different. We can always plan your conferences, seminars and Incentive Groups with special events and programs as per your requirements. Selection of conference destination and venue. Conference arrangements from delegate registration to final invoice. Pre and post conference tours. Spouse programs, local sightseeing tours. Staffing & sourcing suppliers as per your requirements. Banquet services, special events and theme program. Gifts, badges, awards, kit bags, signage. Audiovisual & communication equipment, photography, videography. Domestic and international air travel.